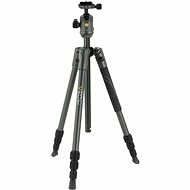 Vanguard Espod CX 203AGH Tripod is sure to capture your attention with its modern style and easy use. 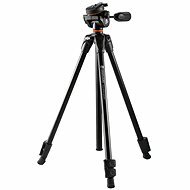 The tripod has a maximum load capacity of 3.5kg. 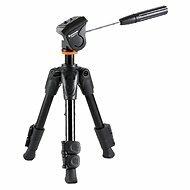 The GH-20 grip head has an easy friction control built into the handle and precision 360° rotation for panoramic shots. In addition, this model features feet with "pop and unlock" system, an anti-shock rubber ring on the central column, three-section legs and flip locks on foldable legs. spirit level, quick release plate, ovládací páka (pro video) Done! For shipping to other EU countries visit this page VANGUARD Espod CX 203AGH. Für Versand nach Deutschland, besuchen Sie bitte VANGUARD Espod CX 203AGH. Chcete doručit zboží do Česka? Prohlédněte si VANGUARD Espod CX 203AGH. Chcete doručiť tovar na Slovensko? Prezrite si VANGUARD Espod CX 203AGH. Für Versand nach Österreich, besuchen Sie bitte VANGUARD Espod CX 203AGH. Magyarországra történő kiszállításért tekintse meg ezt a termékoldalt: VANGUARD Espod CX 203AGH.